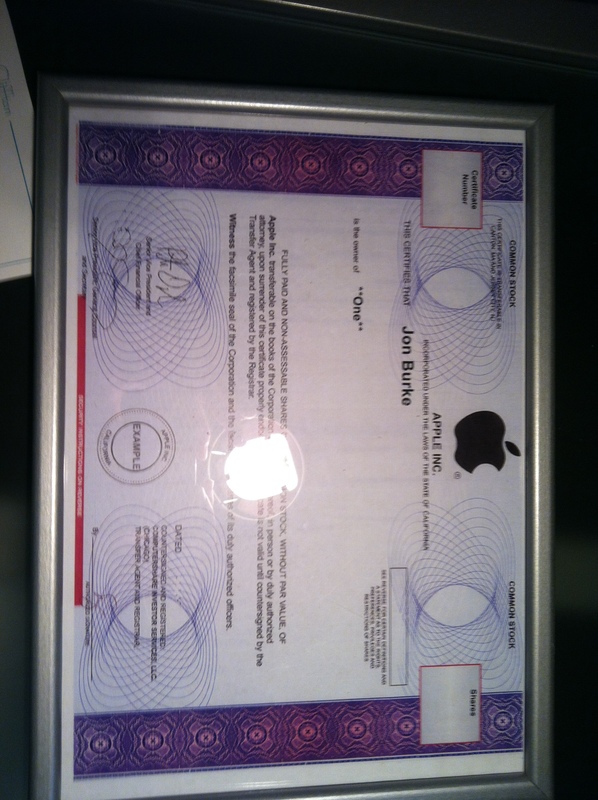 Cleaning out a book-case tonight a found one share of Apple stock. It was a freebie from a company called OneShareOfStock.com that wanted us to blog about their company. We can’t find any record of the gift in email but we estimate it might be from a decade ago when Apple was trading around $15. Today AAPL is nudging up against $600. So should I hold or fold? ← Canadian Solar To Build 122 MW Of Project In the U.S.